But now many also are championing slice-of-life essays—which is great! Like many pendulum shifts, however, this one is now in danger of swinging too far and potentially knocking some of the more bold essay writers out of the running. Students share their gritty, real-life stories, but don’t know how to handle them, especially those that explore highly personal or emotionally charged terrain. This can backfire, however, if the details come across as gimmicky or off-putting. “…an impulse in many essay writers to tug readers into the most intimate corners of their lives and to use unfiltered frankness as a way to grab attention. In some of the essays that students begin to draft and some of the essays that they actually wind up submitting, there are accounts of eating disorders, sexual abuse, self-mutilation, domestic violence, alcoholism, drug addiction,” wrote editorial writer Frank Bruni. This should not stop you from finding and telling your own stories in your college essays. I still think the larger risk is writing an essay that is predictable and dull. But in this ridiculously competitive atmosphere, you must remember that more of a good thing isn’t always the best. What I’m talking about is TMI—too much information. You don’t need to traumatize, appall or nauseate your reader to standout. A gentle twist or surprise (the unexpected works great!) is much more effective. If you don’t have good radar on when you have “overshared,” it’s best to have someone else review your essay. Ask a reader directly: Is it too much? Where exactly do you think I crossed the line? Are there parts that turned you off? Here’s my advice: When you are writing about a topic that is sensational, it’s best to understate (tone down/generalize) your descriptions. For example, if someone had their arm chopped off by a chain saw, you don’t need to describe all the gross details. Just say “their arm was chopped off.” We get it! Keep in mind the point of your essay: To help colleges decide that they want you to attend their school. So if you come across as tasteless, awkward or insensitive–or unlikeable on any level–see if you can re-work your point to tone down the unsavory parts. Chances are, if it’s strong material, it will still pack a punch. The last thing you want to do is come across as some sort of freak. If you have faced weird, melodramatic or unbecoming issues, that’s fine, and feel free to write about them–just focus more on how you handled them and what you learned. Easy on the details. I know this can be confusing. In general, I encourage students to share the parts of their lives that have been defining, and most of the times, those times have not been pretty (death, divorce, injury, etc…). The challenge is to learn how to share them so the reader can get clear sense of what you faced, but at the same time not be distracted or turned off by the sensational details. My other advice when tackling tricky topics is to first go ahead and get out your stories, including all the details, gory and awkward and ugly, but then go back and tone it down. Only leave enough so the readers get a sense of what you are talking about, and quickly move onto the most important part: How those experience affected you, changed you and helped make you who you are today. In the New York Times editorial piece, the writer quotes “prominent admissions counselors” who spend hours and days helping students find the perfect balance in their essays. Part of writing is learning to trust your own instincts, and also find others who you can use as a sounding board if you think you have gone too far: English teachers, high school counselors, parents, friends, etc. Of course, some might want to take all the good stuff out of your essay, so you have to watch for that as well. When in doubt, take it out. 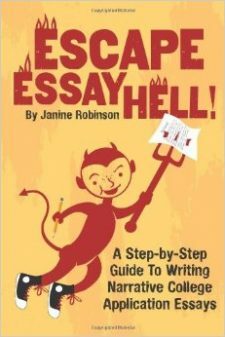 You must remember, the purpose of an essay is to make the college WANT YOU on campus. Overcoming obstacles and issues forced upon you from the outside are great topics. Overcoming your own character weaknesses are not. While it MIGHT work, in most cases it raises red flags with admissions people. -Robert Cronk, author of Concise Advice: Jump-Starting Your College Admissions Essays (Third Edition).